Eastern Nevada's most remote park, Beaver Dam State Park is very popular with folks who enjoy the rustic and primitive character of these deep canyons and pinon and juniper forests. This 2,393-acre park is located against the Utah border, about 34 miles east of Caliente (that means 6 miles north of town on paved US 93, then 28 miles east on a graded gravel road). This gravel road has a few good switchbacks in it so vehicles and trailers more than 25' long are not recommended. And while the Park is officially open year-round, winter can make this gravel road impassable, something about heavy snowfalls and temperatures dropping below zero... This area often sees heavy thunderstorm activity in July and August, too. From the photo to the left, you can see that the area is filled with canyons cut deep into volcanic rock. These streams flow year-round and many of them sport beaver dams for natural flood control. The Nevada Division of Wildlife even stocks the length of Beaver Dam Wash with rainbow trout. A 15-acre reservoir named Schroeder Lake was built in Beaver Dam Wash back in 1962, but heavy rain and snowmelt in the winter of 2005 weakened the dam to the point the state breached the dam so that it wouldn't burst and cause a problem downstream. Tunnel Spring Wilderness wraps around the northern sides of Beaver Dam State Park, although the best access to Tunnel Spring is via the Pine Park Campground in Dixie National Forest, on the Utah side of the border. 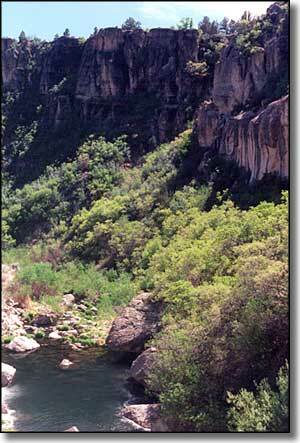 Also on the Utah side of the border are the Cougar Canyon and Docs Pass Wilderness Areas. Beaver Dam State Park offers campgrounds, a group use area and a picnic/day use area. 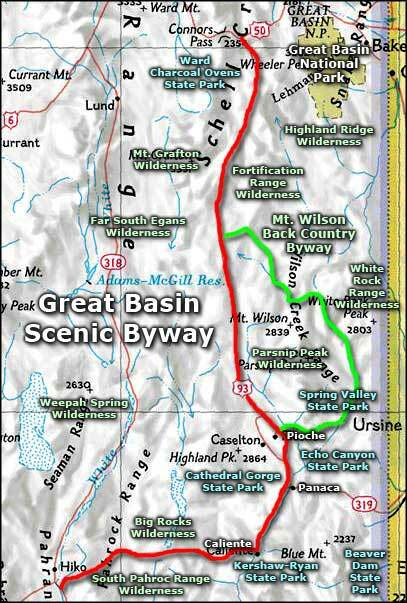 There are also several excellent hiking trails, some with interpretive signs along the way. There are 3 developed campgrounds, offering a total of 33 campsites, each with a fire pit, picnic table and camping pad. The largest sites can accommodate trailers up to 20' in length. Water hydrants (water flows only from May to October) and vault toilets are scattered through the camping areas. Due to the remoteness of the area, forget other hookups and phones. Firewood is available for a small donation, camping is allowed only in designated areas and: Pack it in, Pack it out (there is no trash collection at Beaver Dam State Park). Entry fees: $7 per vehicle per day for non-Nevada residents, $5 per vehicle per day for Nevada residents. Camping fees: $14 per site per night for non-Nevada residents, $12 per site per night for Nevada residents. Group Picnic Shelters: $15 + per normal vehicle fees. Group Campsites: $15 + per vehicle normal camping fees.